I painted this dood live during the third instalment of the Wax Lab open deck sesh. We thought it would be funny to have a Cookie Monster being caged by the weight of his addiction. 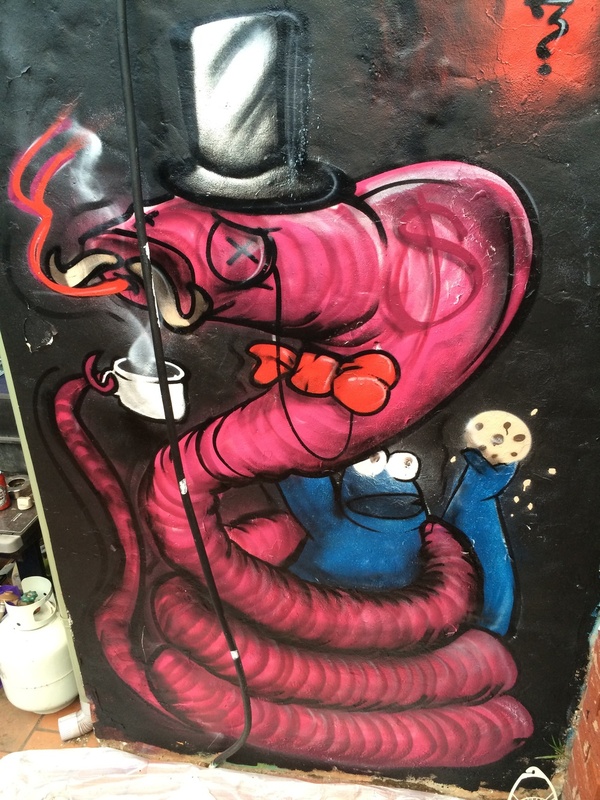 The posh snake raises a familiar image of our own corporations in charge.